Diabetes education covers a wide array of topics and getting to everything takes time. We love making these videos for you and would really love your input. Let us know if there are any diabetic education topics you would like to see us do a video on. 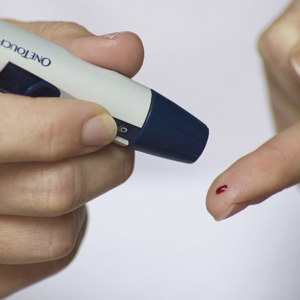 Diabetes is a condition where a person’s body struggles to produce or respond to the hormone insulin. Our diabetes education course provides individuals with the opportunity to get an in-depth look at barriers you may face. Another statistic which stands out for our region is race. With much higher-than-average rates of diabetes, American Indian (18%) and Hispanic (13%) populations are especially in need of help. However, the steps to controlling and learning to live life with diabetes is the same regardless of race. Although diabetes is not specifically a lifestyle disease, there are lifestyle changes one can make to control it. And as normal, making a lifestyle change is not easy. To help, Kymera Independent Physicians have developed a program designed to help patients gain a deeper understanding of their disease in order to better manage it. Extensive by necessity, simple by design, this course provides both the framework for success and the process. Kymera medical staff provide the guidance and encouragement. How does diabetes medicine work? What foods are good to consume? How to plan budget-friendly meals? 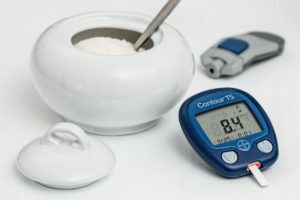 What is the best glucose monitoring device for you? How do you use it? What resources are available to help track progress and provide reminders? Tips to cope with stress and solve problems. For more information, please give us a call at 575-627-9500. Did you know that an estimated 420,000,000 people live with diabetes worldwide and nearly half do not know they are diabetic? In the U.S., about 1 in 4 are unaware they have diabetes. You can ask your doctor for a diabetes screening. Carol Holland is a Certified Nurse Practitioner with Kymera Independent Physicians. As one of our diabetic educators, she discusses ways those with diabetes can better manage their disease. Endocrinologist Dr. Mose July discusses hypoglycemia resulting from insulin use. Hypoglycemia is low blood sugar and is common while patients strive to get used to living with diabetes. It can occur when either too much insulin is injected or when the wrong insulin is used. For those with a loved one who has insulin-dependent diabetes, simply pay attention. Their behavior will provide clues to helping them, as Dr. July explains. Kymera Diabetic Educator Carol Holland shares some tips for managing diabetes during the busy holiday seasons. Life changes rapidly during such times and keeping healthy during holidays is a real challenge. She often sees patient visits increase during holiday seasons. “Get enough rest,” is the beginning of her sage advice.